I’m not the kind of blogger who races to check out the hottest new restaurants so I can be one of the first to blog about them. 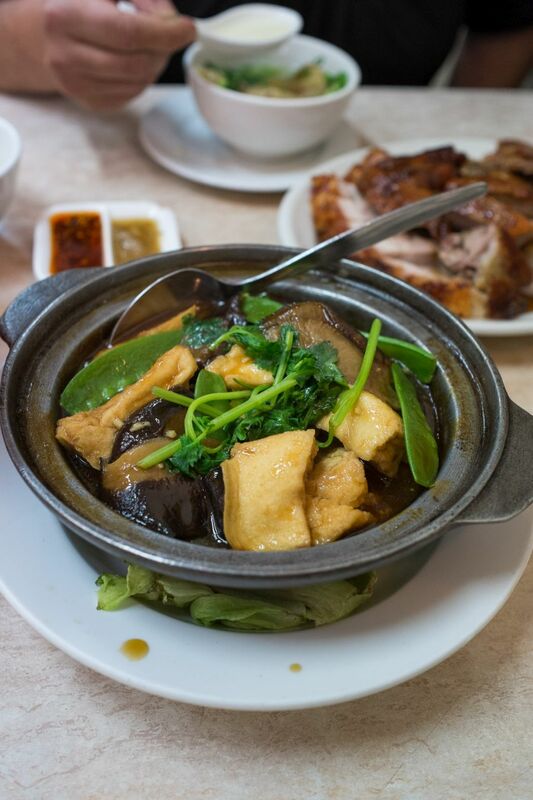 Our choice of where to eat is primarily based on what we feel like eating. Sometimes we’ll try something brand new; sometimes we just crave comfort. After a shocker of a day, the immense pleasure from a comforting meal is an effective antidote. So here we are again, back at Good One BBQ. 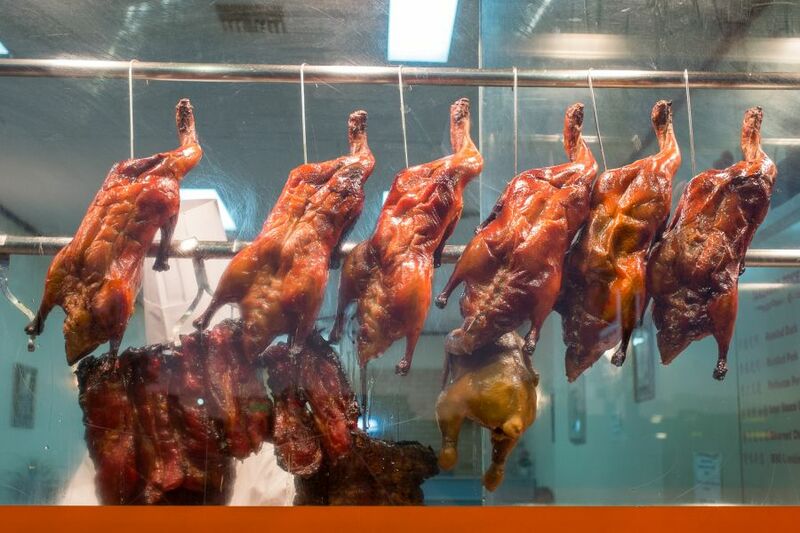 This is one of my all-time favourite restaurants in Perth and the Vic Park area, and my favourite place for Chinese BBQ meats. 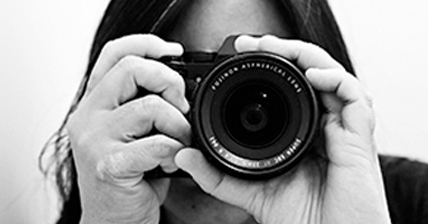 There’s no inane chit-chat – you order, they feed you. The toque-wearing chef who works next to the meaty front window chops the succulent meats to order. 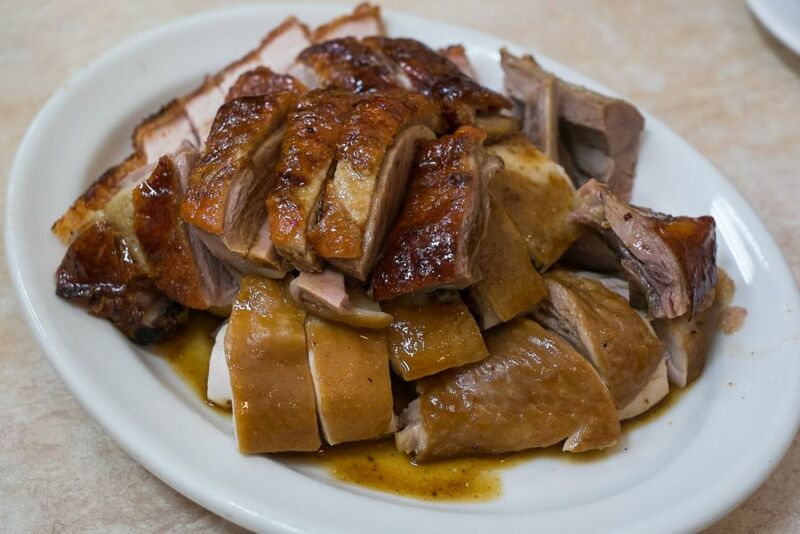 Every piece includes fat and it’s overwhelmingly, intoxicatingly desirable – be it slippery soya-stained chicken skin, chewy roast duck skin, crunchy golden crackling or soft melting layers of pork belly. 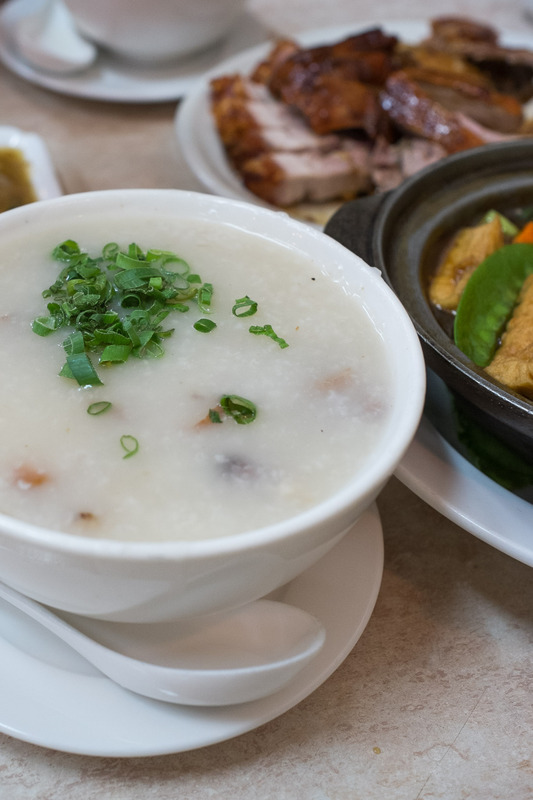 I must also order a bowl of roast duck porridge, which comes loaded with shredded duck meat and skin. Add steamed rice, a vegetable or tofu dish, sometimes a soup, and we have a feast. If we can’t finish, we ask for takeaway containers. It’s tried and true, our perfect setup. I’ll have leftovers for a breakfast of champions the next day. 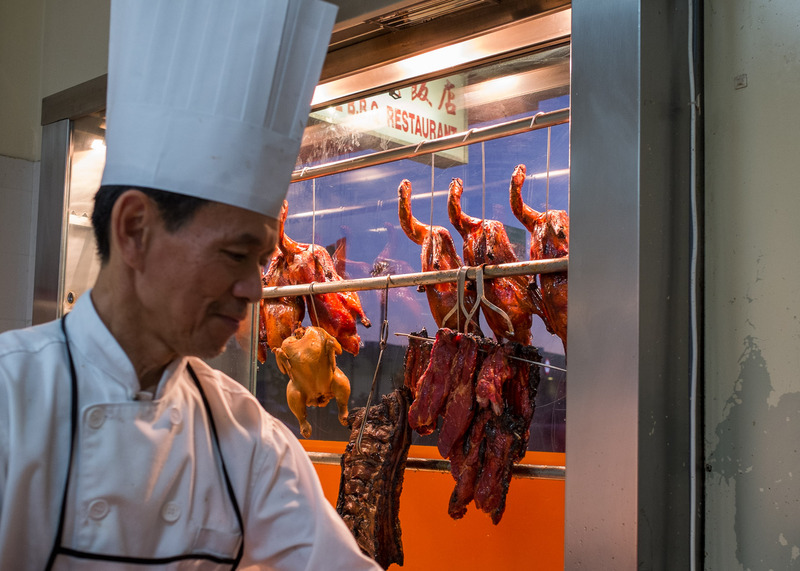 And I never get tired of eating, photographing and gazing at Chinese BBQ meats – all part of the ritual. It’s probably evil of me to post this on a Tuesday – that’s the only day of the week Good One BBQ is closed. 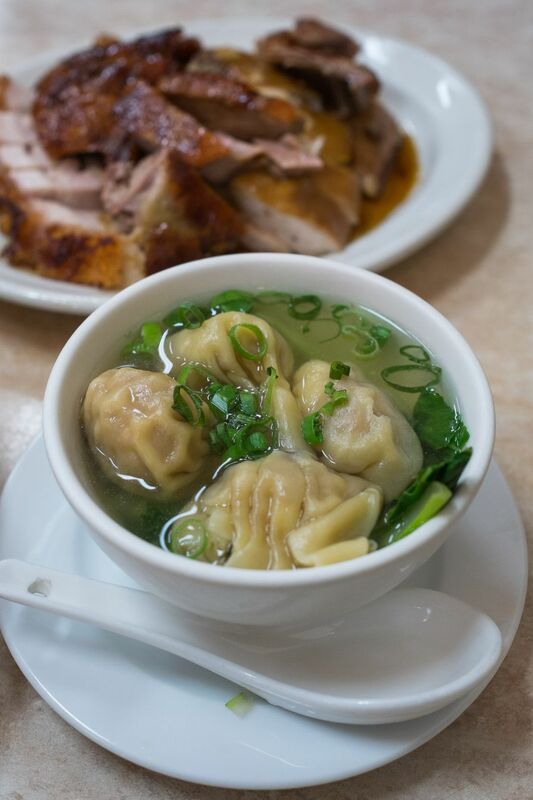 Where (and what) do you eat when you’re craving comfort? 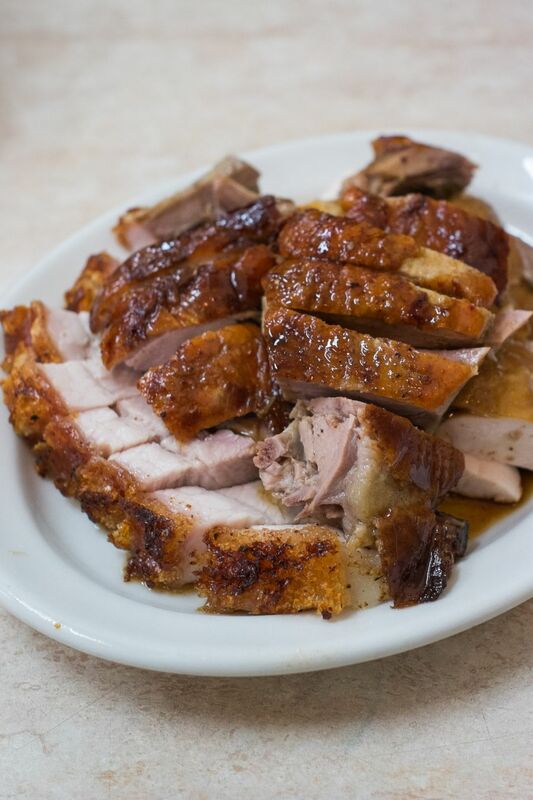 3-meat BBQ combination: roast pork, roast duck, soya chicken. The meats are arranged on top of roasted peanuts.